When it comes time to count off my favorite things to grill, it doesn’t take a whole lot of work to fill the list. While I’m certain to rattle off a fair amount of meat, there may be one surprise addition: lettuce. When I talk to friends about grilling lettuce, I get the “your mad” look. Well yes, maybe at times, but when I’m talking about grilling lettuce, I do not mean dropping a bunch of chopped greens on the grate to see what happens. Hint: Nothing good. 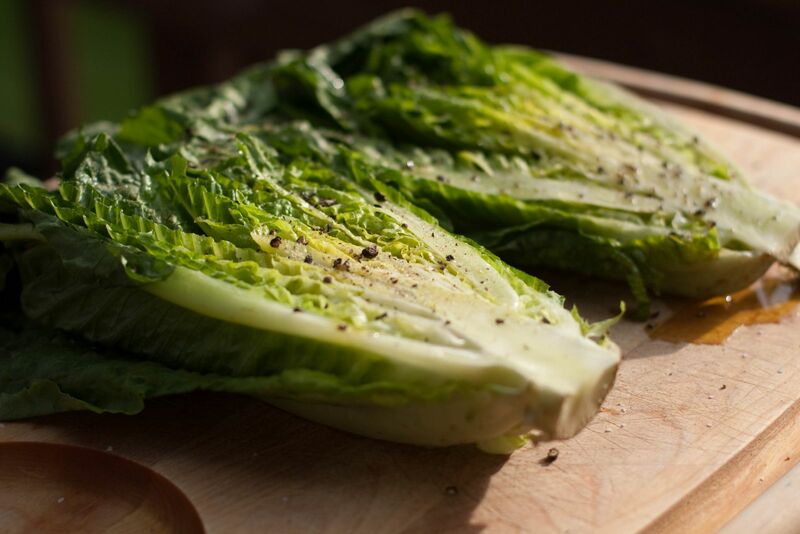 Romaine is my favorite leafy green to grace my grill. It’s sturdy enough to take a few minutes of heat and when lightly grilled comes out transformed. The satisfying crunch is now accentuated by a little warmth, a softer texture, and a hint of smoke. Take two romaine hearts and slice them in half through the stem. Drizzle with olive oil and season well with kosher salt and freshly cracked pepper. Grill each side over direct medium heat for one minute on each side. Remove from the grill and top with freshly grated Parmesan cheese or your favorite salad dressing. Grilled lettuce is a new way to enjoy an old favorite. Surprise your guests with this twist the next time you entertain. It is without a doubt a surprise crowd pleaser.